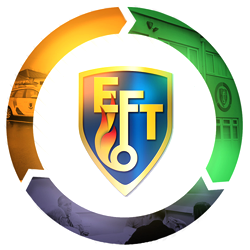 Born out of our internal approach to the ongoing personal development of our People, EFT Group now offer external training courses to our Supply Chain, Clients or Organisations who wish to take advantage of knowledge sharing from within the Group. Training is carried out in our Aindow Academy Training suite with facilities for hands on system and product training, full ICT availability and facilities for refreshments. For technical training and development EFT Systems have a ‘Virtual House’ to enable system installation and buildability training to be carried out.